Note: Panasonic will be releasing two more premium 4K models very soon – these are the AX900 and AX850. I’ll cut right to the chase and tell you Panasonic’s 58AX800 is an excellent 4K Ultra HD LED TV. It offers very good performance with a nice set of features. 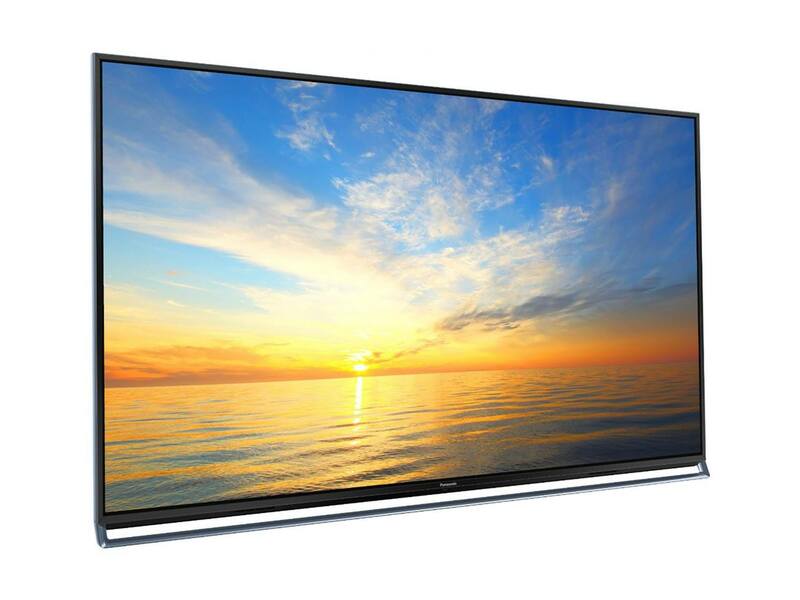 The 58AX800U sports an attractive design featuring a glossy screen flanked with a thin black bezel, in addition to a chrome-colored support bar that runs the entire width of the TV’s screen. This support bar gives the set a more elegant look in my opinion. The panel depth isn’t all that thin measuring approximately 1.7″ deep. The most unusual design feature on this TV is its pedestal stand which isn’t a typical stand design at all. It’s actually a 41-pound black support block that attaches to the back of the panel and keeps it from falling forward or backwards. This non-typical design adds a lot of depth to the display; so keep this in mind when considering the type of TV cabinet you will be placing the display on, and be sure it will accommodate the sets pedestal block. Of course this will not be an issue if you plan to wall-mount the display. Some of the many features of the AX800 include THX 4K Certification. This ensures optimum color accuracy, precise upscaling, panel performance, and essentially guarantees excellent picture quality. The display panel itself is an LED edge-lit design with Local Dimming Pro. This will allow the set to achieve higher contrast levels, deeper black levels and better shadow detail performance. This display also achieves 98% of the DCI studio standards and ensures full reproduction of vivid colors from various types of image sources. Another very useful feature of the AX800U that will rate high with avid video gamers is its DisplayPort input, which allows 4K gaming at 60fps with virtually no latency or input lag. If you are into 3D viewing this TV supports this feature and is supplied with two pairs of active 3D glasses. The AX800U is HDMI 2.0 compliant for increased bandwidth and 4K picture resolution capability at up to 60fps (frames per second) . This set also contains a HEVC decoder for streaming 4K video content from services such as Netflix and Amazon Instant. 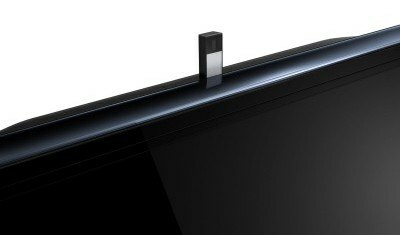 Panasonic’s Life + Screen is the TVs smart platform interface. Here you will find many of your favorite apps including Netflix, Amazon, Vudu, Hulu Plus, YouTube, Pandora and many more. You can also use the Skype app with the displays on board pop-up camera to video chat with family and friends. The TV’s smart screen interface allows users to set up their own custom “My Home Screen” as a main menu with their choice of apps and widgets. The AX800U features wireless capability allowing you to connect to your homes network and access all of your smart TV apps and services. There is also a web browser to surf the internet. This display is supplied with two remotes: Your conventional wand type with a standard button layout that provides easy operation of the TVs interface. This remote is also backlit. The other remote is a small touchpad and provides point-and-click functionality to operate the TV and also features a voice recognition application with a built-in mic that allows you to control certain functions of the TV with the sound of your voice. And just as a side note, the regular remote provides the best method to operate the TV in my opinion. If excellent performance is your top priority, then the 58AX800U will not disappoint. I was absolutely surprised with the beautiful picture images this television produced. Images were crystal clear and very three-dimensional with very fine detail and extremely accurate colors which were rendered with rich and vibrant tones. 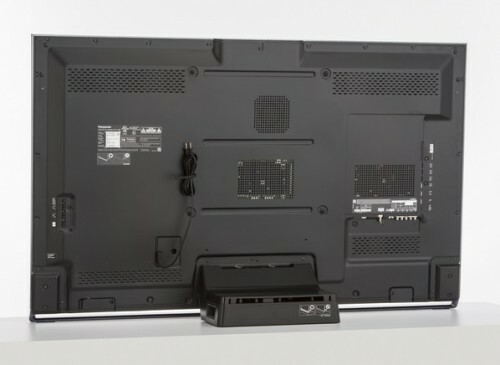 The AX800U’s black level performance was very good, delivering deep-saturated blacks that were on par with the best performing LED displays currently on the market including Sony’s XBR900B. One of my usual black level performance tests is viewing white text on a completely black TV screen; the AX800U passed this test with flying colors delivering very deep and dark black levels. Overall picture quality on the 58AX800U was in the same class as the excellent performing XBR900B, with picture quality that was very similar in appearance, which made it difficult to distinguish any differences in their picture images. This is an outstanding accomplishment for the AX800U, being able to deliver this class of performance at a much lower price. Well done Panasonic. Some of the demo footage I viewed on this display was of a soccer game, and the resulting image quality was absolutely amazing. The images were rendered with amazing clarity and intricate detail. Image depth was also excellent and allowed me to see deep into the image and discern the very fine detail in the faces and clothing among the crowd of spectators. This sets capability to render such fine detail also allowed me to easily make-out individual blades of grass on the soccer field in conjunction with a very vibrant green color palette. Many of the shots in this video footage showed the excellent contrast capability on this display. For example, the soccer field was well lit from the stadium lights producing a bright foreground picture image with very good highlights, while within the same shot, background images of the spectators were dark but were still easily discernible and contrasted well with the brightly-lit foreground images. Shadow detail in the dark areas of these shots was also good; however, I did experience better performance in this area on the XBR900B. While watching the action taking place on the soccer field, I detected no motion blur artifacts as the athletes moved quickly about the playing field. Another interesting and positive attribute regarding the AX800U’s picture performance was the sets ability to display images that appeared very smooth and almost “plasma like” in nature. This was most apparent while viewing on-screen text in the image. Many LED displays produce text with a harsh and edgy appearance as though it is being over enhanced or processed. This was not the case on the AX800U; text was rendered with very smooth gradations and in a natural looking manner. With all the positive aspects surrounding the AX800U’s performance, there were a couple of areas where the sets performance was lacking: Side angle viewing was a bit below average for an LED display. As I moved off center to either side of the TV, it began to dim quite noticeably. So I strongly suggest you keep “off-axis” viewing angles to a minimum on this display. Audio performance was also strongly lacking with this TV. It did manage to produce clear and discernible sound; however, it was very thin, lean and anemic sounding with no real bass output, even though the TV does have a small woofer. 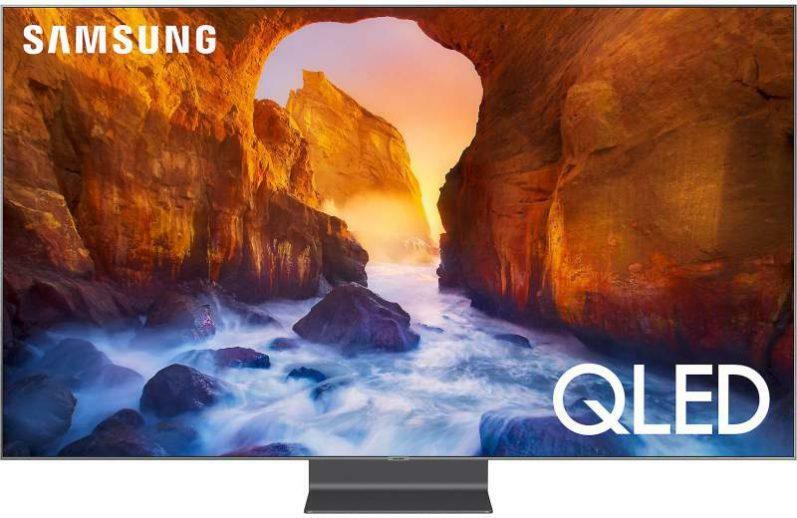 Using a soundbar with this TV will give you much better audio performance. After reviewing the TC-58AX800U, it has become apparent to me that Panasonic is headed in the right direction, proving their ability to manufacture LED 4K Ultra HD TVs with class leading performance and features. Panasonic’s AX800U is one of the best performing televisions on the market, and I must say I was very surprised at just how good it actually performed. Sure, it’s not perfect, and it does have a few flaws just as most HDTVs do. But I believe these shortcomings will not be a deal breaker for many consumers, especially after experiencing its overall awesome picture quality. 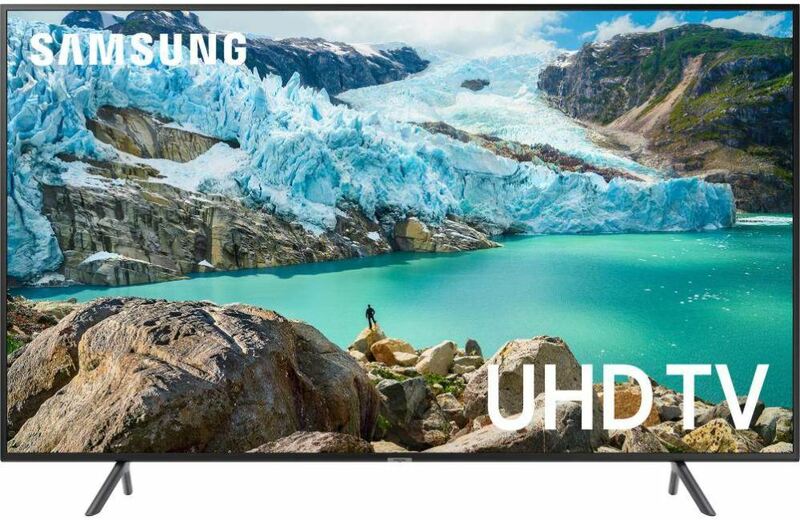 And when you factor in its current price versus performance value, this is one 4K UHD TV you will have a difficult time walking away from. Highly recommend. •	With stand: 105.9 lbs. •	Without stand: 72.8 lbs. This is a valuable info about HDTV. I always like Panasonic products and I will think about this one specifically. Thank you for your time and effort. Thanks for taking a moment to check out this review. Glad you found the info to be useful. Panasonic has been one of my favorite brands for several years because of their excellent plasma HDTVs they no longer manufacture. However, I found the 58AX800U to be an excellent choice for those looking for a plasma replacement. We have bought Panasonic televisions over the years, and never had any issues to speak of. We’ve been going round and round about replacing the TV we currently have in the game room. Just haven’t found what we’re looking for. I can really see that the Panasonic 58AX800U is something to consider in a LED television. It has a nice screen size and it sounds like the picture quality is great. I’m going to have to share this with my husband, as neither one of us knew about this model. Thanks so much for a great review! 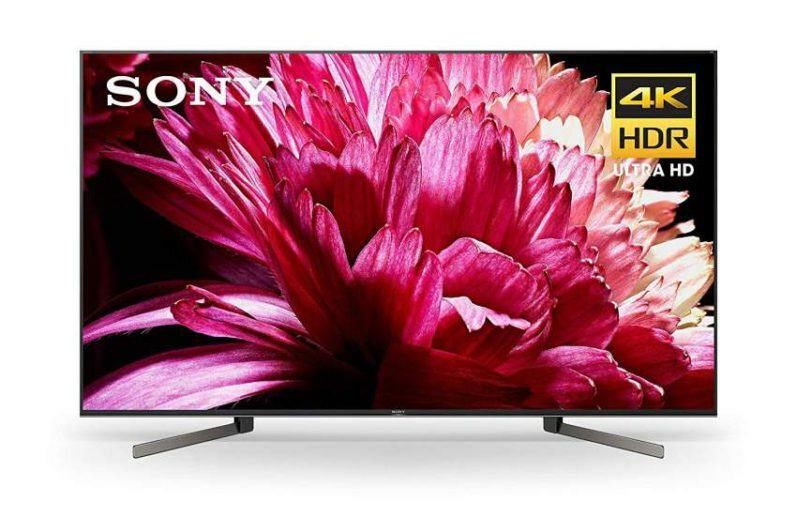 The TC-58AX800U is a very good performing TV. 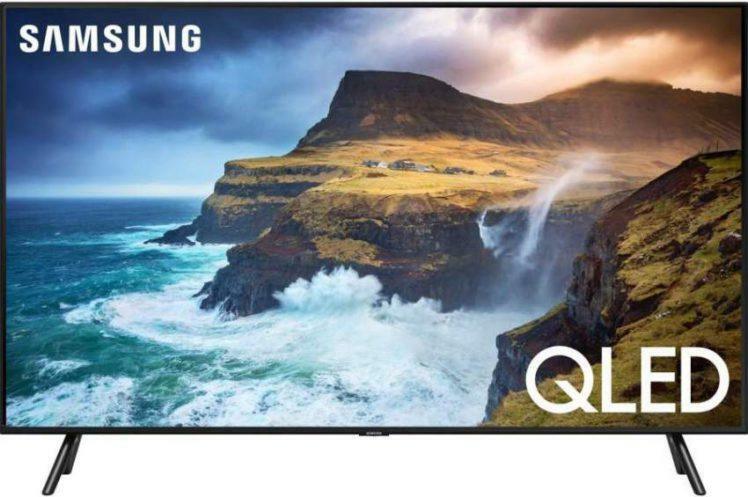 If you are considering the purchase of a new television, this model is a good place to start your search if you wish to continue with a Panasonic model. Thanks for reading this review, and I’m glad to know you found it to be informative. I did a Google search (PANASONIC TC-58AX800U power cord) and found several options for replacement cords including the manufacturer replacement power cord at the link here.